Success of a business always depends on how one can organize it and pursue it to accomplish their goals. A business can be organized in different forms such as sole proprietorship, partnership, limited company or limited liability partnership. While selecting a business organization, one must have an understanding about the different types of business structures, its merits and demerits, public acceptance and image. These organizations are further classified into incorporated and unincorporated structures. Company and LLP fall under incorporated business organizations; partnership firm and sole proprietorship fall under unincorporated structures. Incorporated business structures are created under their respective laws such as the Companies Act and the LLP Act and are treated as separate legal entities. A partnership is created by an agreement between partners and is governed by the Partnership Act. It is not mandatory to register a partnership; even if it is registered under the Partnership Act, it does not entitle an entity status to an organization. 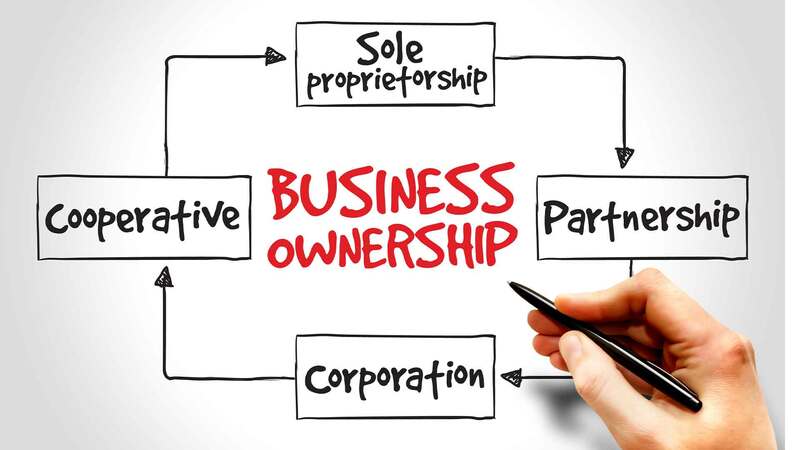 A sole proprietorship does not require registration; any individual can start a sole proprietorship by opening a bank account. Incorporated business structures have certain advantages over unincorporated businesses.